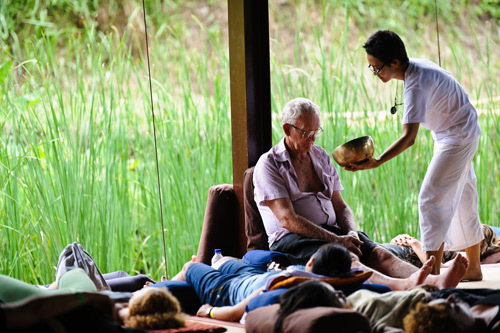 Thanks for considering a visit to our center, appropriately named 'the Yoga Barn'... an indigenous, rustic, spiritual space, set amidst terraced rice paddies, nestled in the bustling mountain village of Ubud, Bali. With 'The Barn', we've created an inviting, spirit-inspired environment, with our main focus on teacher and student-guest needs. The Yoga Barn’s mission has always been to provide a relaxed and inspiring environment for the nourishment of body, mind and soul through daily classes, workshops and retreats in Yoga, Dance, Meditation, Ayurveda, Detox, Breathwork, various Healing modalities and more. Much thought goes into the diverse programming and the teaching team strive to provide classes and other events to the highest quality, taught with deep knowledge, life experience and sincerity. Located in downtown Ubud, The Yoga Barn provides respite from the traffic and chaos of Ubud’s main streets. Conveniently accessible from two entrances – one entrance is located on Jln Pengosekan, (a short wander down Jln Hanoman past Coco Supermarket) and the second entrance is located on Jln Tebeseya, just outside the Yoga Barn Guest House and includes a parking lot. 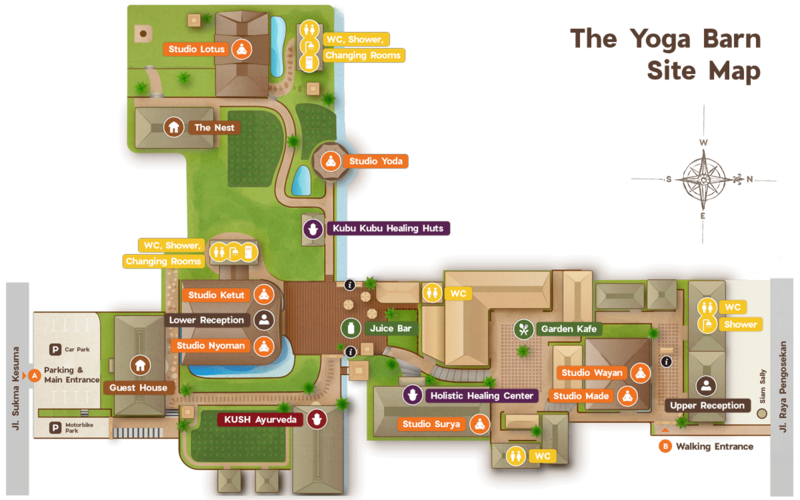 The Yoga Barn has grown over the years and now includes 6 yoga studios, a 10 room Guest House, a Healing Center with cleansing and colonics, an Ayurvedic Massage & Treatment Center, a branch of the Bali Yoga Shop, an outdoor amphitheater with a Juice Bar as well as the garden branch of Ubud’s local restaurant gem, Kafe. With over 100 classes per week dedicated to yoga, healing, dance, breathwork and movement there is truly something for everyone. Ubud Yoga Studio Wayan - Upper Studio 1: Studio Wayan is perfect for yoga classes, group retreats & teacher trainings. 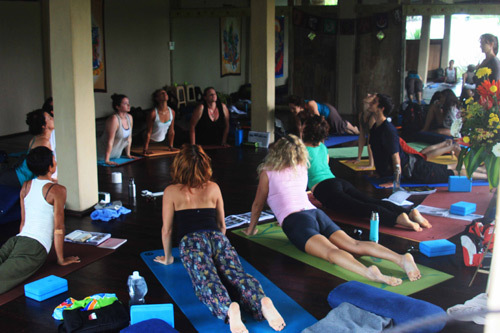 Ubud Yoga Studio Made - Lower Studio 2:Studio Made is suitable for regular classes, healing workshops (i.e. massage therapy/craniosacral), private yoga sessions, intimate seminars and family/children's classes. It has two pillars in the middle so is not appropriate for dance classes. Specs: 8x11m, partially enclosed, back garden view, large Iyengar/rope wall, wood floors, holds 25 comfortably, max 28. Includes smaller sound system, iPod or computer compatible. Ubud Yoga Studio Nyoman - Upper Studio 3:Studio Nyoman is great for dancing, movie screenings (night), musical events, and larger events. This studio is primarily used for Yoga Barn’s daily classes. Specs: 12x16m, open air, rice-paddy and valley view, wooden floors, holds 60 comfortably, max 80. Includes robust sound system, iPod or computer compatible. Ubud Yoga Studio Ketut - Lower Studio 4:Studio Ketut is great for seated seminars, presentations, meetings, and sound/music offerings. This studio is primarily used for Yoga Barn’s daily classes. Specs: 12x8m, fully enclosed, air conditioned, lotus pond view, large Iyengar/rope wall, wood floors, holds 65 comfortably. The room is equipped with A/C and includes a smaller sound system, iPod or computer compatible. Ubud Yoga Studio Lotus - Lotus Studio 5 (Valley):The Lotus Studio is remotely located at the far southern end of the property. 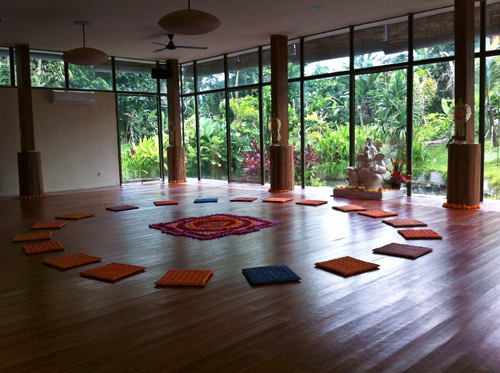 It is our quietest studio, perfect for intimate group retreats or teacher training programs. Starting from February 2017 studio Lotus will include access to the “NEST” an additional building that is set up for meetings & private catering for groups. Specs:10x10m, primarily open-air, partially enclosed, rice-paddy and back garden view, large back wall, wood floors, holds 45 comfortably, max 50. This studio can accommodate aerial classes, and provides private access to an outdoor /ceremony fire pit area. Includes smaller sound system, ipod or computer compatible. The Yoga Barn was created as a safe space for inner healing and personal growth and transformation; the Yoga Barn team of co-founders, faculty and staff join other ‘leaders coming together to proclaim—without any reservation or hesitation—that we do not tolerate sexual abuse, sexual harassment, psychological manipulation, or the deliberate misuse of power,’* in any way, shape or form. In February 2016 the Yoga Barn co-founders were made aware of allegations of professional misconduct against an independent contractor who had taught Yoga and offered private consultations in Yoga & Ayurveda at the Yoga Barn for several years. The accusations came as a shock to us as the teacher was incredibly popular and loved by students and the Yoga Barn staff alike. Given the information we received from the accusers, combined with the information gathered through subsequent communications and hearings with all parties involved, the owners of the Yoga Barn took a strong course of action and terminated the teacher with IMMMEDIATE effect in the month of March 2016, with paper work ultimately concluded in May 2016. The teacher has not been associated with the Yoga Barn since termination. At the Yoga Barn it is our continued intention to hold a safe space for inner healing, personal growth and transformation at the Yoga Barn. Yoga teachers and spiritual leaders are coming together to proclaim—without any reservation or hesitation—that we do not tolerate sexual abuse, sexual harassment, psychological manipulation, or the deliberate misuse of power. Those who stand behind this pledge offer their support to any victims of abuse and join a community of people striving to embody the ethical foundations of yoga. Safety for everyone in a spiritual community. Yoga teachers must create and uphold healthy, secure boundaries that prioritize practitioners’ well-being. Sexual harassment & Misuse of Power policies must be established and strictly upheld at all times. *The Yoga Barn and its teachers have adopted the above policy and take it very seriously. Originally from New York City, Meg took her first Hatha yoga class at the New York Open Center on Spring Street at the age of 13…. She recalls sitting in warm wooden room surrounded by women and men in one-piece leotards, many with grey hair. It was in that room, that Meg began her yoga and health centric journey, becoming an avid information seeker of various spiritual traditions. A few years later between high school and college, Meg spent a summer as an Ashramer at the Himalayan Institute of Yoga Science and Philosophy, where she continued her study of Yoga, adding Ayurveda and healthy Veganism to the mix. Meg LOVED living at the Ashram and loved her fellow students but walked away with a strong distaste for the GURU syndrome that afflicted the Institute. Her learning affects the way she approaches the Yoga Barn as a similar type of institution today. Once in college Meg found herself on a year-long travelling and studying journey through Italy, Greece and finally, Bali. On that trip Meg focused on the Language, Arts & Culture of Bali, completing her BA in Art History, Anthropology and Asian studies with a focus on Indigenous Folk Art of Bali. That same fateful year, Meg met the man who later became her husband, Made ‘Dekgun’ Gunarta. Together, Meg and Dek have inspired a vibrant group of companies that support various outreach & development programs (link to outreach programs info) in Bali . Meg believes wholly that SMEs and Corporations should include community development as part of their missions and she abides by that as much as possible. Meg believes that generosity makes the world go round and that people who practice the art of giving will always be rewarded. 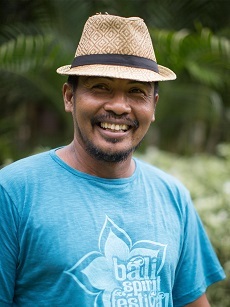 Pak Dek, has been a fundamental component of The Yoga Barn’s vision to connect with the Community. Dek is an accomplished architect and is the vision behind the aesthetic Balinese style of The Yoga Barn, which is all created with reclaimed wood and hand-crafted elements. Dek comes from a long lineage of socially minded Balinese; his great-grandfather, the Head of The Sacred Monkey Forest restoration project in the early ‘70’s, and his mother, a school principal for over 30 years, are just two of his role models. In 2010 Dek took revitalization of the Monkey Forest into his own hands and launched a reforestation project planting hundreds of trees and creating a safer and leafier home for the indigenous and sacred macaque monkeys. Along with his wife, Meg, Dek is also the co-founder of Yayasan Kryasta Guna, a not-for-profit environmental, arts and cultural organization with a mission to inspire local youths in Ubud to invest in their environment and community while learning about their Balinese traditions. In 2016 Dek started an organic farming initiative 45mins north of Ubud and spends much of his time working on the land. A native Californian, Charley escaped the corporate world after 16 years in 2004 by embarking on a year-long solo bicycle journey through Southeast Asia. En route to Cambodia via Australia, he stopped in Bali for what was supposed to have been two weeks. 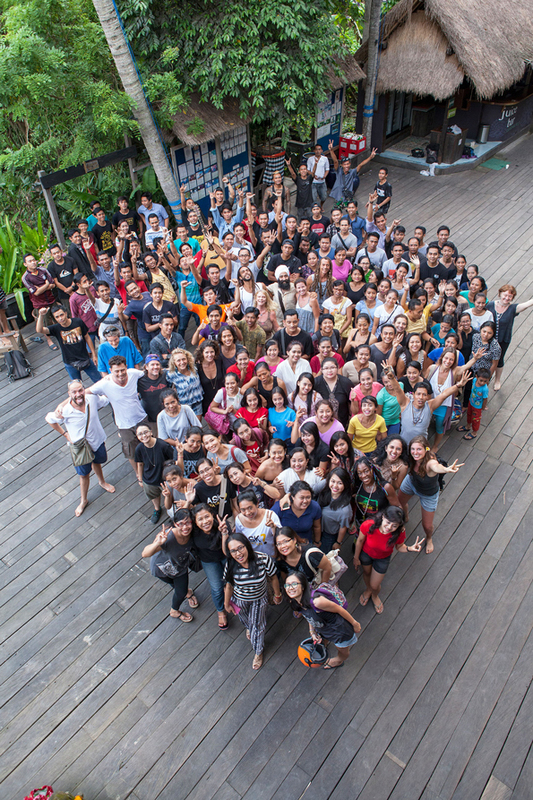 After 12 years, Charley’s heart remains in Bali with his commitment to The Yoga Barn, as a co-founder. Charley’s passion for yoga he attributes to three amazing teachers; Bob Smith, Ki McGraw & Mark Whitwell. Bob and Ki are owners of The Hatha Yoga Center in Seattle, Washington. They have a small shala just outside of Ubud and run Bali-based teacher trainings annually in June. Bob has been deeply immersed in yoga for over 45 years, and he and Ki have a wealth of information to share in the seamless way they instruct together. Charley studied with Bob & Ki in 2004, 2005 and completed their teacher training in 2007. Mark has taught yoga for over twenty years throughout the US, Asia, Europe, Australia and New Zealand. He was the editor and contributor to TKV Desikachar’s book The Heart of Yoga. 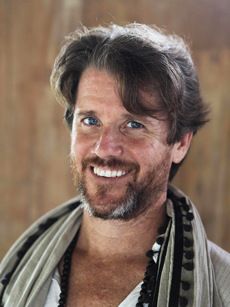 Mark is a frequent presenter at The Bali Spirit Festival. 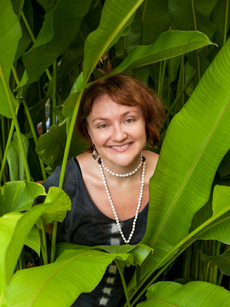 Charley has studied with Mark in both the US and Bali. Charley is passionate about using documentary films as a medium for social change. He commenced and curates The Yoga Barn’s popular Monday Movie program, where every other week, The Yoga Barn previews films on subjects ranging from social justice, environmental concerns, awakening consciousness and spirituality. Charley is also a talented DJ and the music maestro behind The Yoga Barn's popular Sunday Dance, whenever he is in Bali. Charley’s ethos as Co-Founder of The Yoga Barn is to change people’s lives for the better, and believes (like Joseph Campbell) that each of us have unique and special talents to offer the world. The Yoga Barn exists to help each of us, “discover our passion and follow our Bliss”. Balispirit.com provides a centralized registry of Bali's holistic living venues, services and activities. It is the only website of its kind, and has a client-member base of conscientious small business owners. We love Indonesia and want to see her industries revive while preserving what attracted us here in the first place: environment, culture and spirituality. The BaliSpirit Festival, March 24th – 31th 2019– One of the the leading Yoga, Music and Holistic Festivals in the world. The BaliSpirit Festival attracts over 7000 people each year and is a global and sacred celebration of Yoga, Dance and Music in Ubud, Bali.